Australian Forestry Standard Ltd has welcomed the federal government’s assurance that forest certification continues to guarantee the legality of national domestic wood supply. Federal Minister responsible for forestry Senator Anne Ruston has announced that amendments to illegal logging legislation will streamline and simplify the importation and processing of timber products certified under Australian forest certification schemes. As Australia’s largest certification program for sustainable forest management with more than 24 million ha certified, AFS is the Australian member of PEFC, the world's largest forest certification system. “The government is to be congratulated on its continued tough stance on illegal logging and recognition that major forestry operations in Australia are 100% independently certified,” AFS CEO Simon Dorries said. Mr Dorries said the simple act of sourcing or purchasing an Australian-branded product could have far-reaching positive implications, not least in terms of sustainable consumption, arguing that improving the productivity and profitability of forests and trees was central to achieving sustainability across landscapes and livelihoods. AFPA CEO Ross Hampton said illegal logging regulations should be effective but not impose unnecessary red tape and compliance costs on Australian producers who were doing the right thing and already operated within a stringent legal and compliance framework for sustainable forest management. 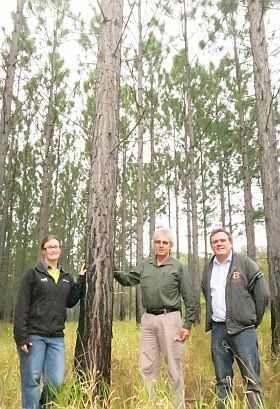 “Australian major forestry operations are 100% independently certified; nowhere is native forest or plantation management more sustainable,” Mr Hampton said.